Nothing gets the week started like some big internet business wrangling, and this Monday is no exception with news arriving that Microsoft had a $9 billion for a 16% stake in Yahoo rebuffed. The deal – which included a $1 billion bid for Yahoo’s search arm, and a projected $1 billion a year in partner revenue – was rejected last week. 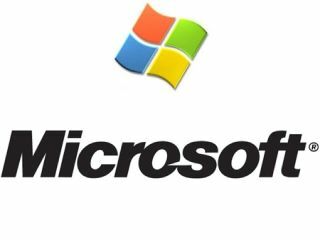 Although Microsoft insists that the prospect of a Yahoo takeover has now ended, the software giant is still desperate to buy some market share in the competition for online advertising and share against Google. Yahoo’s continued defiance of the Redmond-based company has been headline news for months, and a tie-up with Google last week has added a new chapter to the saga. According to Reuters, Microsoft has appealed to advocacy groups in Washington that influence policy, insisting once more that a deal between Google and Yahoo over search advertising is moving dangerously close to a monopoly. "Our position has been clear since April that any deal between these two companies will increase prices for advertisers and start to consolidate more than 90 per cent of the search advertising market in Google's hands," said Microsoft spokesman Jack Evans.